Have you ever been moved by the low notes bass players add when they complete the chord? Would you like to have something different to play at your local jam? This set of classes will give you the basics of what to play on your U Bass or electric bass so you can add to your groups and have more fun. We’ll start at the beginning covering easy patterns which can be played in any key and are appropriate to lots of musical styles. The lessons will be appropriate for U (ukulele) Bass, electric bass or even regular guitar as the four bass strings are all tuned the same. Please contact Greg for more information. 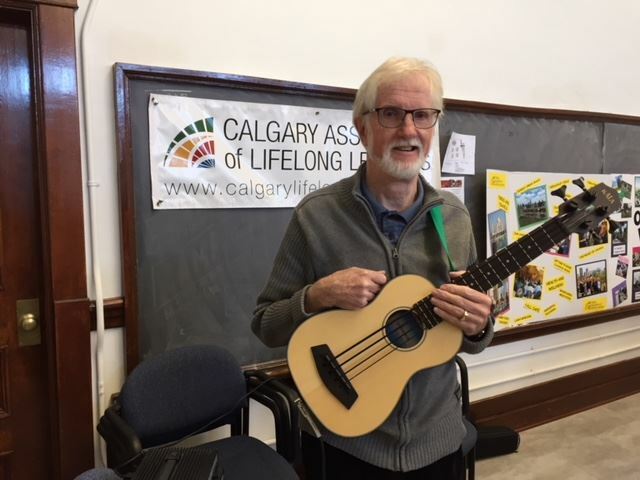 Greg is a retired physician chasing his musical passion. Guitar player since 1960s (self taught). Now plays guitar, electric bass, ukulele bass, octave mandolin and is learning banjo. I started bass when I was in a folk music group and I and the other guitar player were playing the same thing. I taught myself bass so I could play something different. I am presently in a folk band and a Celtic band. I have previously taught beginner guitar and digital photography classes.